I thought about acupuncture for a long time before I tried it. Would it hurt? Would it help? How does it even work? I have suffered from back pain most of my life. 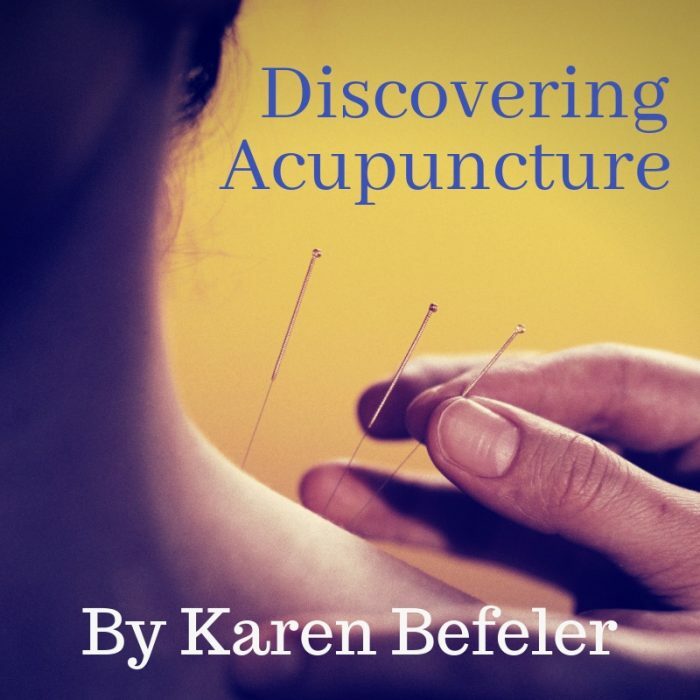 And of the many forms of treatment I tried, including massage, chiropractic adjustments, medication and physical therapy, I had never tried acupuncture. But, when I was diagnosed with fibromyalgia, I decided that the time had come. I attended a health fair seeking answers to my questions. It was there that I met Dr. Frigerio. He patiently and kindly assured me that the ancient practice of acupuncture would most certainly help to alleviate my chronic pain. Even though this was over 10 years ago, I still remember the brief lesson he taught me about Traditional Chinese Medicine being based on two opposing forces: yin and yang. When these forces are in balance, the body is healthy. Energy or “qi” (pronounced “chee”) flows along meridians of the body. This flow keeps the yin and yang forces balanced. But sometimes the flow of energy gets blocked leading to pain and illness. Acupuncture breaks up blocked qi and releases neurotransmitters and endorphins- the body’s natural painkillers. It also stimulates the release of serotonin which has antidepressant effects on the brain. Lastly, Dr. Frigerio told me that acupuncture reduces inflammation and relaxes contracted muscles. Needless to say, I made an appointment and that is where my journey with acupuncture and TCM began. My first appointment with Dr. Frigerio was 2 hours long. To this day it remains the most thorough exploration into my health history that I have ever received. His guiding principal, to treat the whole person not just his or her symptoms, was evident. My session ended with an acupuncture treatment that I am happy to say did not hurt. I lay comfortably on the treatment table as he carefully placed the very thin needles into precise points on my body. I left feeling less pain than I had in years, relaxed and genuinely heard by my doctor. My journey with Dr. Frigerio continues to this day. I returned (and continue to return) for follow-up treatments which generally last for 45 minutes to an hour and consist of a consultation and a blissful acupuncture treatment. The frequency of visits will vary from person to person. Some patients will see the doctor for an acute issue and receive acupuncture twice a week for 8 weeks. Some will have chronic illnesses and visit once a week or every other week for a longer time. Many patients, like me, enjoy acupuncture as a way of life, using it preventatively to stay healthy and to keep the qi flowing. Full disclosure- I am now an employee of Dr. Frigerio, but this is an honest account of my journey. While working with him, I have seen how many patients he has helped and how acupuncture can treat so many conditions.